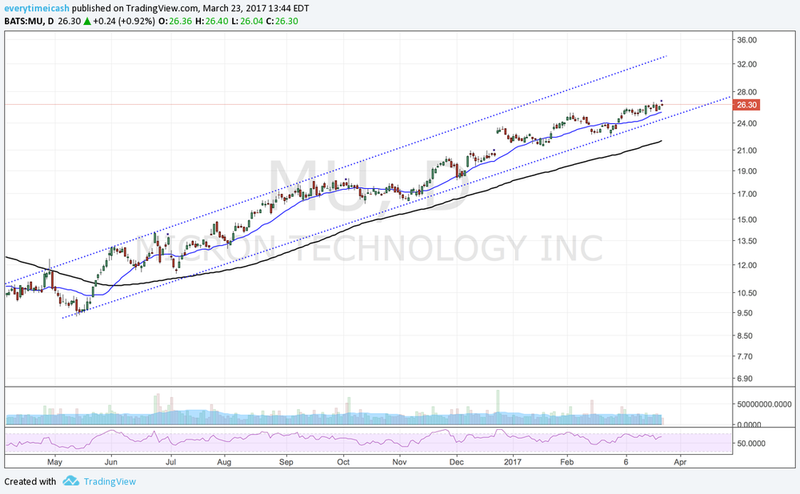 MU is expected to report earnings tonight after the close. There is a conference call scheduled for 4:30PM. Q2 Capital IQ consensus calls for EPS of $0.86 (versus ($0.05) last year) on revenue of $4.651 bln (+58.5% YoY). The current consensus is within the company's guidance range of $4.6-4.7 billion. 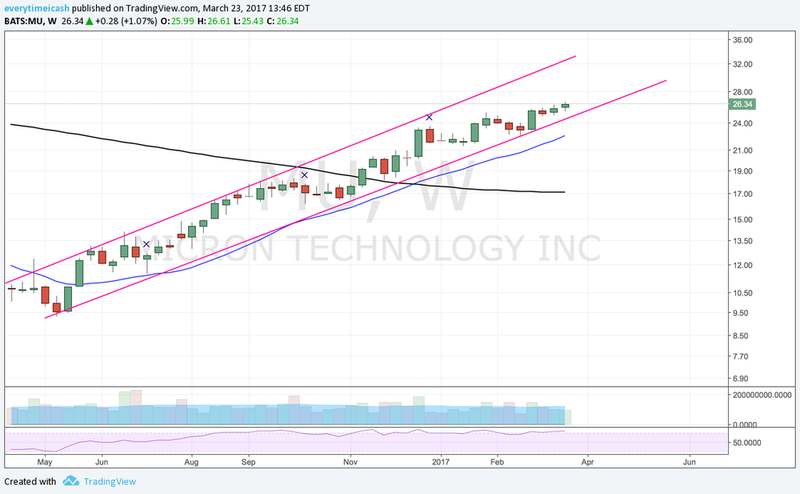 Micron's EPS guidance is at $0.86 +/- a few cents. The company raised its EPS guidance at a Morgan Stanley conference on March 2nd, and raised the midpoint of its revenue guidance. 2015 and early 2016 proved to be a tumultuous year as a slowdown in demand, driven largely by the decline of the PC industry (Now less than 20% of MUs business), impacted the company as it was restructuring. Comments from MU surrounding demand in the company's newly targeted areas of server, mobile, automotive, and Industrial machine-to-machine areas bode well as does the pricing improvements seen industry wide. MU says it currently expects 2017 DRAM bit supply growth in the 15% to 20% range. Its long-term bit demand growth forecast of ~20% to 25%. The company's overall consolidated GAAP gross margin of 25 percent for the first quarter of fiscal 2017 was 7 percentage points higher compared to the fourth quarter of fiscal 2016 primarily due to manufacturing cost reductions and increases in DRAM average selling prices. Margin Guidance: Looking ahead to the second quarter, the company sees Q2 gross Margin in the range of 37-38%. CO's margins guidance was raised at the Morgan Stanley conference on March 2. Based on MU options, the current implied volatility stands at ~ 46%, which is 64% higher than historical volatility (over the past 30 days).The options market is currently pricing in a move of ~7% in either direction by weekly expiration (Friday). Options activity has been aggressively bullish in the last few weeks with multiple strikes and calls bought. MU shares have outperformed the S&P so far this year with MU raising by 19% vs 5% gain in the index. Resistance sits near the $26.50-26.75 area, while support hangs near $25.75-26.00.